When you’re putting on a new roof, you are taking a big step. It’s a big expense, and you want to make sure that it’s done right. 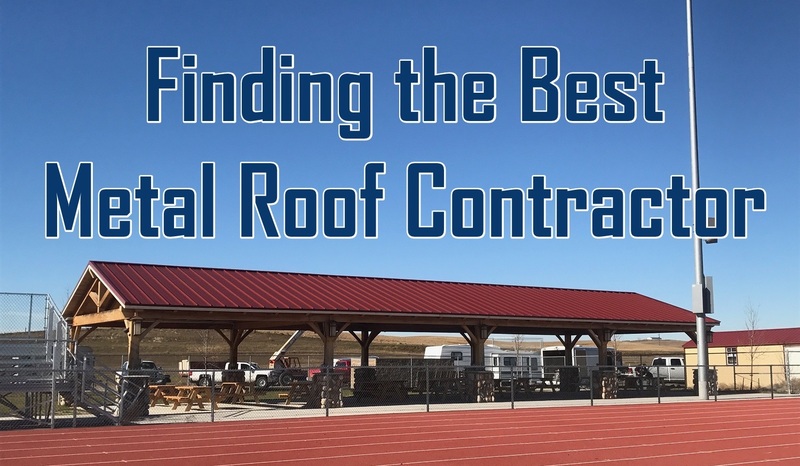 Naturally, you want to find the best metal roofing contractor in the area so you know you’re getting top-of-the-line work done to your home. But every roofing company will say, “Oh yeah, we do metal roofs.” How do you know that you’re getting the best of the best? Here are three ways you can be confident in your decision. Some new contractors are really good, and some old contractors do shoddy work. But for the most part, if they have only been in business a year or two, that should be a red flag. Companies that have withstood the test of time are more likely to be around in the future when you have other needs. Plus, those that have been around a long time usually do better work. Every time there is a storm in Billings, we are flooded with out-of-state contractors. These guys zip in, slap on hundreds of new roofs, and take off as quickly as they came. Using an out-of-state company doesn’t mean you get a bad product, but there is little to no recourse if something goes wrong. A Billings based roofing company will be here to fix any problems that pop up. Having the skills to put the roof on is absolutely necessary. Experienced laborers have those skills. But it’s not just enough to be able to put a roof on, there is sophisticated machinery needed to install metal roofing. If a company is lacking in either the skill or the technology, your roof won’t be exactly what you want it to be. One of the best tests of whether or not a company is worth your time is if they are willing to let you look at previous work. With the internet it’s not too hard to view pictures, but even those don’t tell the whole story. Before making a commitment of many thousands of dollars, find some addresses of previous clients. Ask those clients if they’re happy, and look at the roof in person. A metal roofing contractor unwilling to let you view past work is suspicious. Here at Beartooth Metal Roofing, we have the experience needed to install amazing roofs. From those that just require straight panels, to an octagon shaped roof, to metal shingles, our skilled labor can get it done. 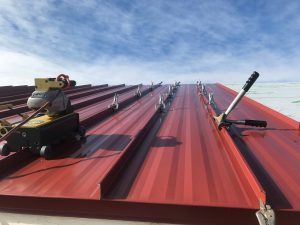 We have the technology to bend the metal to perfection, and we will let you check out work we have done in the past as a roofing company in Billings. Are you ready to get started on your forever roof? Give us a call at 406-839-0084.